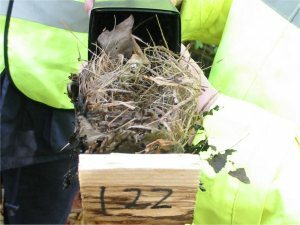 During June 2008 Dormice nesting tubes were fitted to branches of trees and shrubs on the reserve and inspected once a month until November. 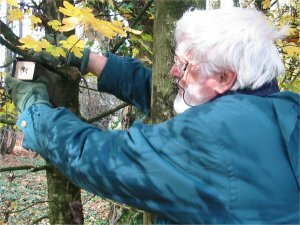 Surveying on November 19th 2008 revealed Dormice nests and a Dormouse confirming suspicions that they were resident on the reserve as their teeth marks on hazel nuts had been observed. The Dormouse is protected throughout Europe by the Bonn Convention and EC Habitats Directive. In Britain it is fully protected by the Wildlife and Countryside Act 1981 under Schedule 5 these make it an offence to deliberately or intentionally kill, injure, take, possess, or trade and prohibits interference with places used for shelter or protection, or disturbing animals occupying such places. A loss of suitable habitat in Britain has led to a steep decline in Dormice numbers. 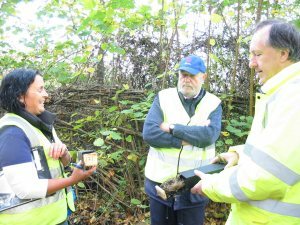 Dormice are in residence on the reserve and it will be managed to promote their survival. 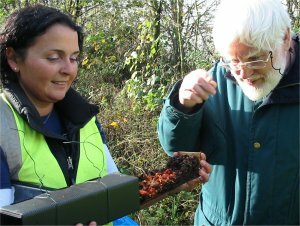 To monitor the population of Dormice, and their activity, Dormouse Boxes and tubes were introduced to the reserve in the spring of 2009. 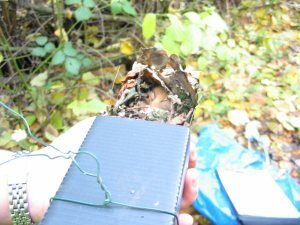 During the survey, nests and winter food stores of Wood Mice (Apodemus sylvaticus) were found in some of the nesting tubes. 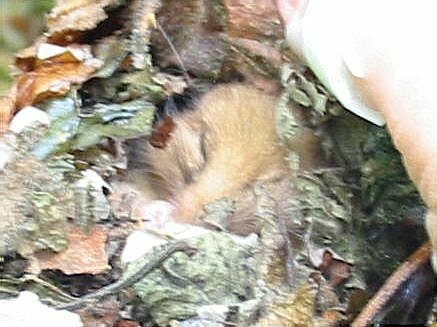 Dormice leave a smooth round hole with few toothmarks on the surface of the nut. Woodmice leave transverse toothmarks on the cut edge of the nut.